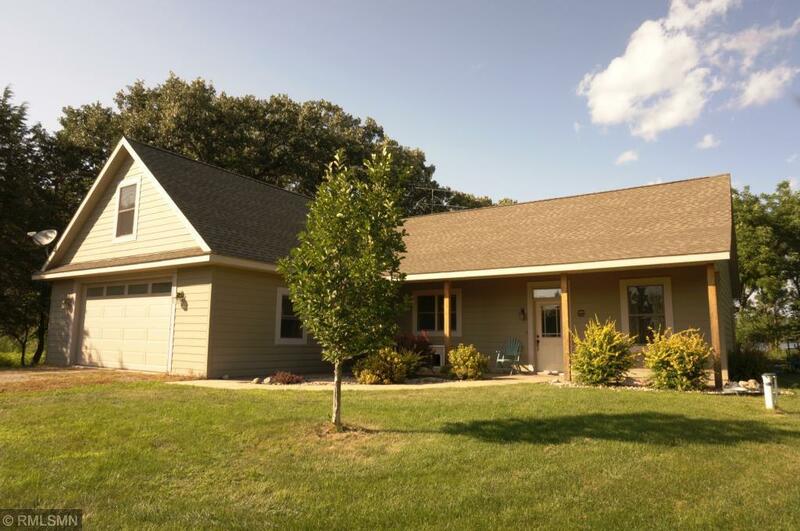 Private, tranquil, serene six acre setting. Home has beautiful views of Hart Lake, woods, ponds. There are walking paths and walking bridges over ponds. Oversized windows welcome natural sunlight throughout home. Spacious layout. Hardwood floors. Living room has trak wood ceiling. Kitchen features pantry, island and hickory cabinets. Master bedroom has a 10x5 walk in closet, separate shower and whirlpool tub. Garage has a drain, is heated & insulated. This property is a must see, inside and out.